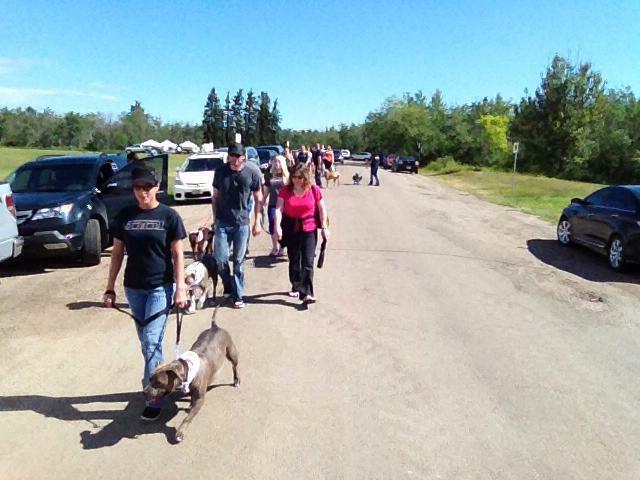 This past weekend on July 13th a Worldwide Anti-BSL Peaceful Protest was held. I unfortunately could not attend but have watched numerous videos, looked at pictures and read statements from around the world. This event brought tears to my eyes. 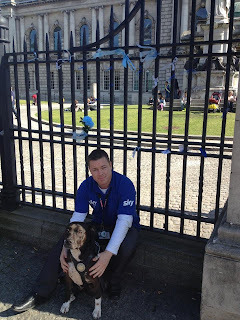 Those of us who've been out slogging for years are witnessing a ground swell of people who are standing up for their dog owning rights and saying ENOUGH is ENOUGH! The WORLD is saying NO to DISCRIMINATORY laws! Laws such as breed specific legislation (banning breeds and appearances of dogs), mandatory spay/neuter, pet limits and other oppressive laws. Laws such as these do nothing to contribute to public safety. If they did, bites and attacks would decrease however overwhelming evidence demonstrates the opposite. Here is a short video from the gathering in Toronto, Ontario. A great friend and fellow (Dog Legislation Council of Canada) member spoke on our behalf at Toronto's gathering. Ottawa had an impressive turnout for their gathering. Edmonton also held a successful gathering. 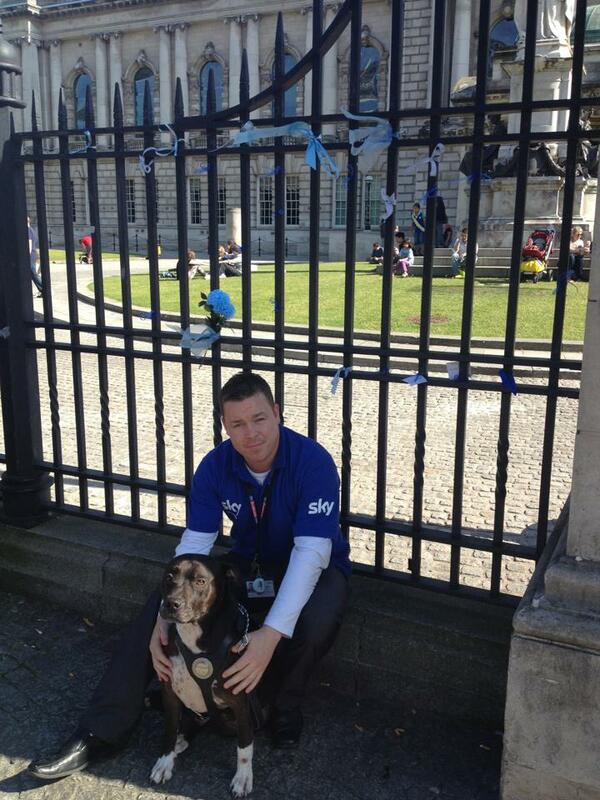 Protests were held in Belfast, Ireland where blue ribbons were placed on the gates to City Council in memory of Lennox. Way to go world! Stand up and protect your dog owning rights. People often ask how they can help. The best thing to do is to contact your Member of the Provincial Parliament, preferably by phone, mail or fax, to ask them to vote in favour of any Bills that seek to remove Ontario’s breed-specific legislation. This is important regardless of the party of your MPP and especially if they are in Opposition. If you can book a meeting to speak with them in person, so much the better. Beyond Breed has a great post 10 Tips for Speaking with a Legislator. It is also very important that signed, hard-copy petitions be sent in to MPPs so they know that people in their riding want the breed ban removed. Those two things, which cost almost nothing and require only minimal action, are the best way to help at this time. Since the legislature is closed until the Fall, and there is currently no Bill to remove BSL on the table, we are in a bit of a holding pattern. Fighting to restore civil liberties is a tough business and not for the faint of heart. We will succeed in overturning the breed ban in Ontario. 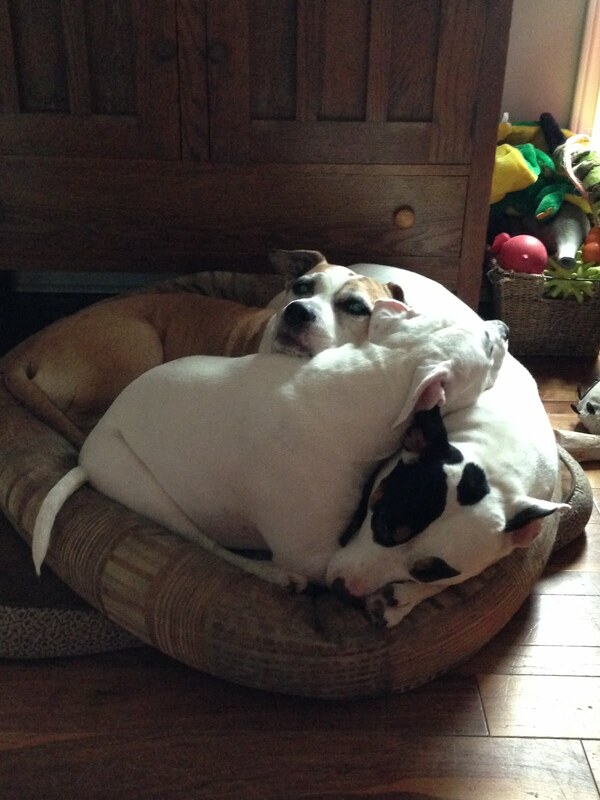 We will succeed in overturning breed bans worldwide. We confidently say this because there are a group of dedicated, passionate dog owners who will not quit until BSL is repealed. We hope that all dog owners and others who are concerned about their property rights will stand with us to right this terrible wrong. Remember, democracy is not a spectator sport - the support of caring people is needed if we are to prevail. A big thumbs up for this for sure!!!! Bless you all! Hello! I am filming a mini documentary for film class on the stigma behind pit bulls and was hoping I could use some of your footage? Thank you! The first step is always important. To plan successful SEO campaignfirstly,youshouldidentifytheproblem.Youshouldmonitor the website; you may have been hit with a Google penalty. Do not forget that you should spot Google penalties before they hurt your business. If you want to learn your target audience as a whole, to find out which words, terms, and phrases to target with SEO you should research your market’s keywords. You do not need to get the visitors to your site; you need to get right kind of visitors. Content creation is the foundation of SEO. Only quality of content can keep your customers on your site and distinguishes you from your competitors. Pay attention to the keyword density and the level of anticipatingcustomers’need. Makingacomprehensivelistofyour primary and secondary keywords will help you to achieve your goal. With the help of page optimization, you may get more visitors. Page optimization is about page titles, text-based navigation, placement of targeted keyword phrases, website map, etc. Following the new high- quality, building meaningful content on a continual basis will boost your website traffic.